‘Why why why are you talking about Christmas in July’ I hear you cry. Well, read on and all will become clear. This is just a little prompt really, a prompt to encourage you to make a note in your diary. 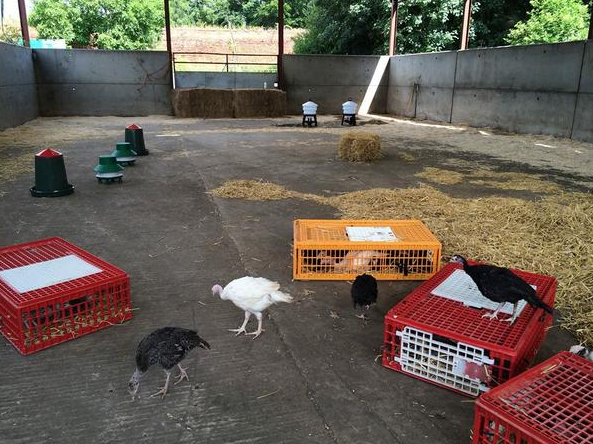 The good folks at Swillington Organic Farm have taken delivery of their organic turkey poults. Once they’re big enough the turkeys will be roaming free in the woods until just before Christmas. Then they’ll be available to grace your table along with the sprouts, carrots, sprouts, pigs in blankets, sprouts and all the other scrummy foods we gobble up over the festive period. 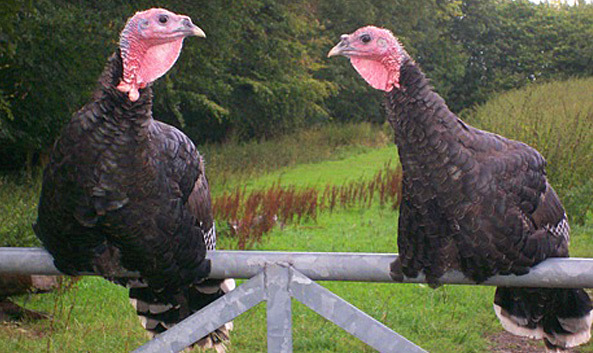 The reason I’m mentioning this in July is that these tremendous turkeys fly out of the Swillington farm shop – so you’ll need to be quick if you want to get your hands on one. Of course, once you’ve acquired your bird you’ll need to do it justice by roasting it really well. 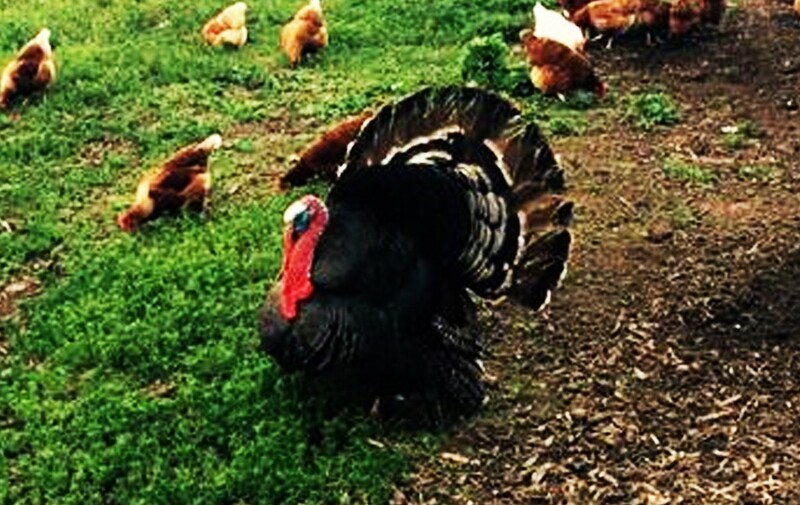 Here’s a great little step by step guide to getting the perfectly cooked Organic Turkey. 1. Your bird needs to be taken out of the fridge first thing on Christmas morning or at least two hours before you’re planning to cook it. 3. Put your turkey in a large roasting tin breast down. Cooking your bird upside down will ensure the breast meat stays moist. ‘Why’ I hear you cry, well the fat on the back of the bird seeps through to the breast – I’m getting peckish just writing this. Lavish plenty of salt and pepper on the back then add half a litre of water to your roasting tin. Don’t stuff the bird – cook the stuffing separately. 4. Now it’s time to put it in the oven – put that foil away! Adding foil will steam the skin and poach the meat #Yuk. 5. You’ll need turn it. Halfway through the recommended cooking time (for the recommended cooking time ask Simon when you pick up your turkey). Turn your bird by holding the drumsticks, don’t forget the oven gloves – once turned lavish with salt and pepper. 6. With thirty minutes to go check the temperature, obviously you’ll need a thermometer for this. Plunge the thermometer halfway in to the thickest part of the breast. 7. 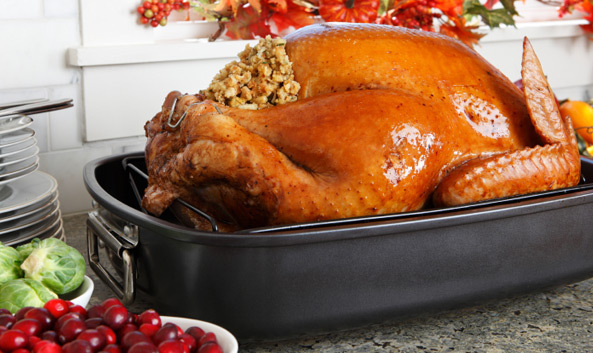 Ok, it’s time to take your turkey out of the oven – the look and smell at this point is flipping mmmmm marvellous. As hard as it maybe you now have to leave it for 30 minutes. You’ll be tempted to cover it, don’t – I promise you it won’t go cold. 8. Now for the best organic poultry gravy you’ll ever taste. Skim off the excess fat from your stock. Pour the liquor in to a pan, don’t forget to scrape all those lovely scrummy sticky bits from the bottom of the roasting tin. Pop the pan back on the heat. Tah-dah you’ve done it. Serve, then sit back and prepare for the plaudits. Note for diary: 1. 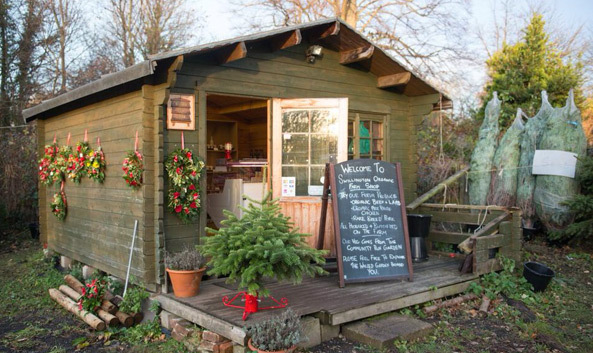 Get my free range organic Christmas turkey from Swillington Organic Farm 2. Save this page to my favourites for the step by step roasting guide.